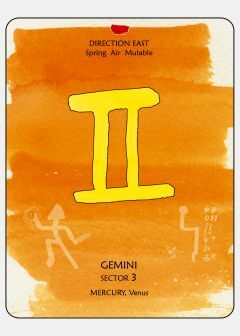 The Sun moves to Gemini on 20 May 2012 at 15:15 GMT, and the seasonal voyage through the zodiac shifts into the realm of the mind, communication, information and thoughts. Gemini is animated by an insatiable thirst for information and a ceaseless curiosity. This sign hops from one place to another, extracting what it can and moving to the next. As it sees from all perspectives, it can find it hard to come down to a decision or be direct. It is a genius at circumventing obstacles and improvising when in critical situations. This sign brings the gift of lightness in life and the ability to be detached from, or fly through, the emotional dramas that block access to other levels of perception. An urge to support the communication system and the movement of the energy to its spontaneous destination is a basic motivation here. This allows a rapid connection with whatever exists, though it may not leave much space for complex understanding. Gemini is the triumph of the mind. From a multidimensional perspective, everything we see is the result of mental activity. Our thoughts cause ongoing and pragmatic effects in our perception of life. These thoughts are either aligned with separation and our human arbitrary reality or with unity and our multidimensional nature. Every thought that we have contributes either to preserve the illusion of separation or to reawaken the awareness of unity. The ego separated mind is based upon the repression and denial of the multidimensional mind. 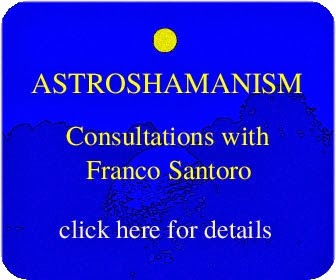 For this purpose it employs a large variety of tools aimed at diverting awareness, letting the mind slip away and trashing information coming from expanded sources. As human beings, we have the capacity to watch our minds, purposefully engaging with the healing web of life and shunning the deceptive anti-spam filters of the ego. Here the junk-mail folder may unveil some golden nuggets!